Sonos has long been a player in the wireless-speaker market, but the latest version of the Sonos One brings the game to a new level. The Sonos One is a wireless, Wi-Fi enabled speaker that now has Amazon Alexa built into it. All Sonos speakers integrate with each other so you can create multiroom groups of speakers that work together and bring Alexa to your existing Sonos Speakers. The main difference between the Amazon Echo with Alexa and a Sonos One with Alexa is that the Sonos One is first and foremost a music speaker. Sonos has better sound quality and is compatible with over 80 music streaming services, including Amazon Music, Apple Music, Spotify, Pandora, Google Play Music, Audible, and internet radio services. Sonos One can do much more than give you access to Alexa and play music, however. There is a growing number of what the company refers to as “Works with Sonos” products that provide home automation, entertainment, and even security integration. We’ve rounded up the top brands and their products to give you an idea of what’s possible with a Sonos One in your home. Wink is a home automation company with a lot to offer, including integrations with tons of other products. Because Sonos One integrates with Wink, you can use Alexa from the Sonos One to control other Wink-enabled products. Wink is not one of our top home automation systems, but if you have a Sonos One, Wink is a good, nearly universal, smart home hub to get started with. Wink’s Lookout starter kit is a great option if you want a basic home security setup that works with Sonos One. The kit comes with a Wink hub, two door/window sensors, a motion sensor, and a siren. While we always recommend using a monitored home security system, this kit is a good place to start if you’re looking for some basic home security products to integrate with the Sonos One. Once you have the Wink hub set up, you can add other smart home devices like locks, thermostats, lights, plugs, and more. The Wink Bright starter kit is made up of the Wink hub and two smart Sylvania lightbulbs. This kit lets you set up patterns that turn the lights on and off at intervals to make it look like someone is home at all times. 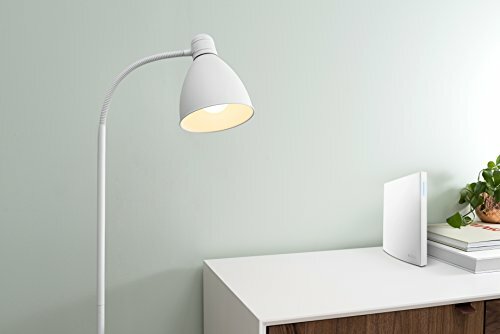 As a more fun aspect, it also lets you integrate music and lights, so you can change your lighting to match the mood of the music playing from your Sonos One. Beyond that, of course, you can add other products to the Wink hub. Lutron is a home automation company with a focus on lighting products and associated devices. It has whole-home systems as well as single-room controls, plus stand-alone products like dimmers, switches, fan controls, timers, occupancy sensors, and window shades. If you already have a Lutron system in place, the Sonos One would be an excellent speaker to integrate with what you already have. If you’re looking for some smart lighting equipment beyond lightbulbs to enhance the efficiency and security of your home, Lutron has that too. 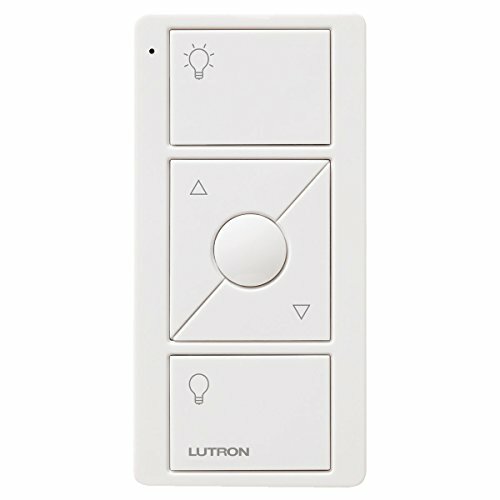 The most accessible Lutron products are from the Caséta Wireless line of dimmers, switches, remotes, wallplates, and other accessories, as well as the Smart Bridge. The Smart Bridge, in combination with the Lutron app (available for iOS and Android), connects with Lutron products and other smart home brands, including Sonos. This is the place to start if you are integrating Sonos and Lutron products. 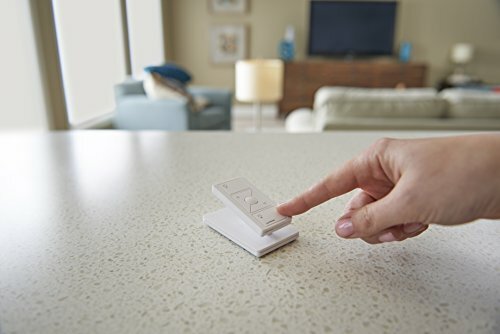 With the Smart Lighting Dimmer Switch starter kit, you get two dimmer switches and two lighting remotes, plus the Smart Bridge to connect other devices to the lighting products. Each dimmer switch controls up to 17 bulbs per circuit, so you could control all the lights in an entire room with each switch. 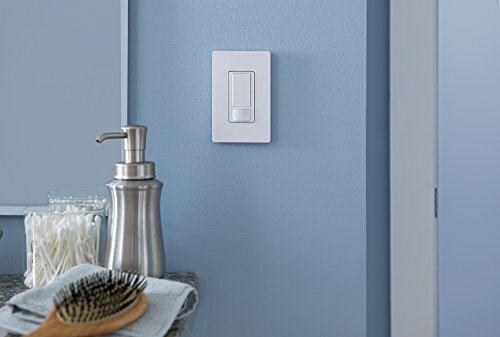 If you’d like to expand your Lutron system, add another dimmer switch—it installs easily and integrates into an existing system beautifully. 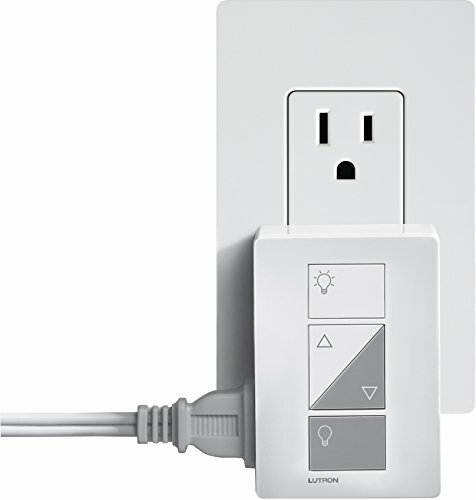 And each dimmer switch comes with a remote so you can control the lighting from the switch, the remote, or the Lutron app. Ceiling and wall lights are not the only lights you can control with Lutron products and from your Sonos One. You can plug your lamps into a Smart Lighting Lamp Dimmer and control them from your phone or with Alexa. An occupancy/vacancy sensor detects when people enter or leave a room, saving you money by making sure that lights don’t get left on. It’s especially helpful for places like garages or laundry rooms that don’t get much traffic. The Lutron Maestro Sensor does not specifically integrate with Alexa, because it works independently. However, once you’ve got the rest of your Lutron system in place and working with Sonos, this is a great addition to the overall system. If you’re already familiar with the Logitech brand, chances are good you’ve seen the name on a computer keyboard or mouse. 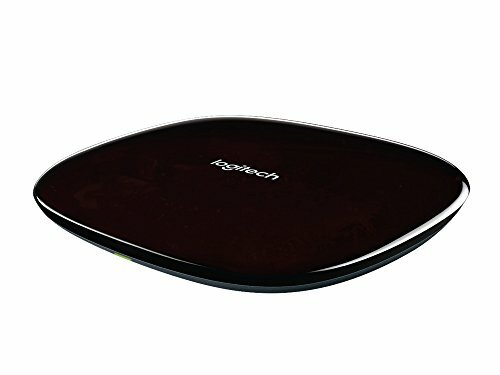 Logitech makes a wide range of products, mostly tech or entertainment related, but it also offers some home automation and security devices. If you are putting together a smart home entertainment system that includes Sonos One speakers, Logitech can easily integrate all the pieces. As with most home automation systems, the heart of the Logitech products is the Harmony Hub, which connects and integrates with the other Logitech devices and compatible products. The list of connected brands includes Apple TV, Amazon Alexa, Roku, Philips Hue, Nest, Sony, Lutron, and LIFX—and Sonos, of course. With the Harmony Hub, your smartphone essentially becomes the remote that programs and controls all your devices and services. This means you can change channels, adjust the volume, turn lights on and off, set the temperature, and build multidevice events from anywhere. 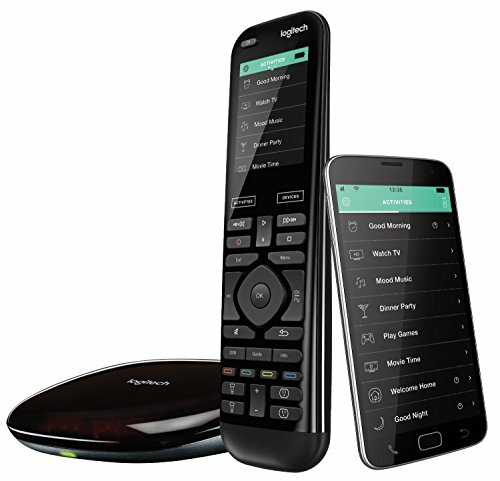 If you prefer the familiarity of a physical remote control for your entertainment system, Logitech offers several companion remotes to the Harmony Hub. One of those is the Harmony Elite Remote Control with a full color touchscreen. You can program one-touch automation events—or Activities, as Logitech calls them—and access devices stored inside cabinets for a cleaner look. 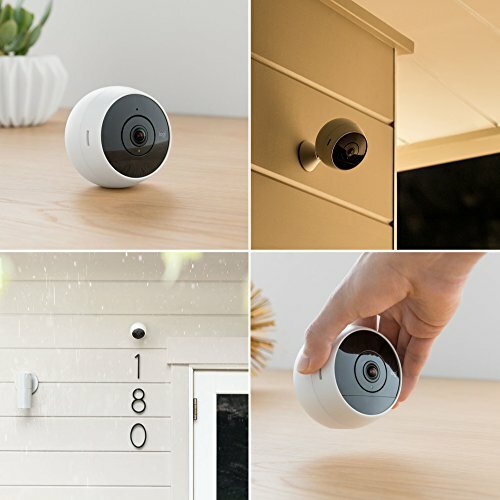 Logitech offers the Circle 2 security camera with both indoor and outdoor capabilities. It also comes in both a wired and a wireless version at slightly different prices. Both record 1080p HD video, but the wired camera has an effective FOV (field of view) of 180 degrees, whereas the wireless camera’s FOV is up to 130 degrees. There are a few other minor differences, but both have motion detection and are weatherproof. Both cameras also come with 24 hours of free video cloud storage. 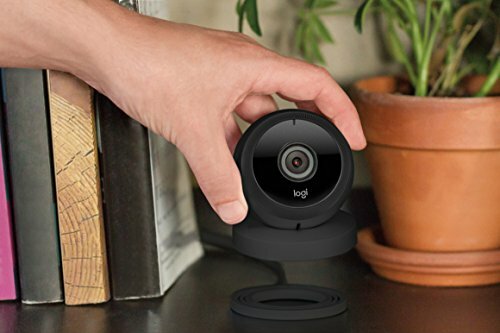 The Logitech Circle security camera is an older model that is now less expensive than the Circle 2 cameras. It’s wireless and meant for indoor use, but it has most of the features and advantages of the Circle 2. It even uses the same app (available for iOS and Android) as the Circle 2. If you’re looking for a home security camera that will work with your other Logitech products, this one won’t necessarily break the bank. 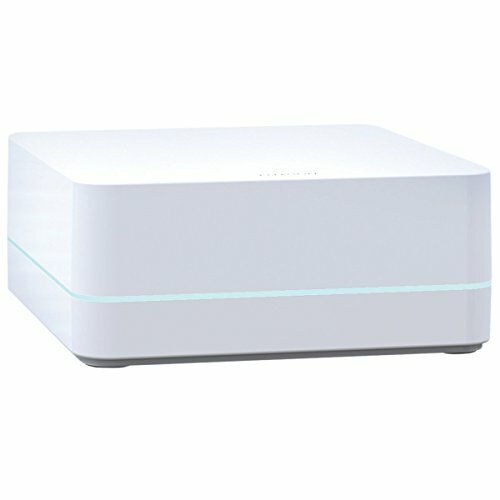 If you already have smart devices in your home that don’t integrate with Sonos itself, Yonomi is a potential solution. Yonomi is an app that turns your smartphone into a home automation hub and allows you to create routines and events between all your smart devices. It works with Sonos speakers, Google Home, Amazon Echo, Logitech, August, Schlage, Nest, ecobee, Honeywell, Philips Hue, LIFX, and many more brands. View app for iOS, Android, Amazon Alexa, and Google Assistant. 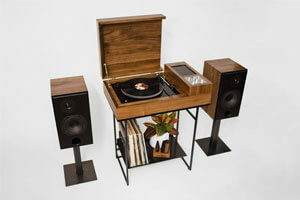 For music lovers with a collection of records, Wrensilva is a record player console manufacturer with two products that work exclusively with Sonos speakers, including the Sonos One. Both consoles are high quality and therefore extremely pricey (upwards of $2,000), so they won’t work for everyone. Beyond that, most wireless record players use Bluetooth to connect to speakers, and Sonos One uses only Wi-Fi. There is an easy work-around, though: you can manually connect your record player to a Sonos Connect or Connect:Amp and then group it with the Sonos One from there. One exception to the Bluetooth rule seems to be the Trntbl record player—it connects via Wi-Fi and advertises its compatibility with Sonos speakers. However, it’s fairly new on the market and we’d like to see how it performs before recommending it. Another “Works with Sonos” gadget for music lovers is the iPort xPRESS Audio Keypad. The xPRESS is like a small music remote from which you can control the music playing from your Sonos One. You can play or pause, skip tracks, and even mark a song as a favorite. If you don’t want to use your phone to control the music but still want to navigate songs remotely, this is a great tool. Adding Amazon Alexa to the Sonos One was an impressive first step, but Sonos has announced plans for more voice control integration in the future. Google Assistant should be coming to Sonos One sometime in 2018, though the date hasn’t been announced at the time of this writing. There are also plans to add support for Apple’s Siri, but you’d need an iOS device for that. While we’ll have to wait and see how the multiplatform support works in practice, it makes the Sonos One the only smart home speaker we know of to work across all three major voice assistant platforms. Sonos also has Alarm.com listed as a future “Works with Sonos” brand, which would be exciting to see in use. 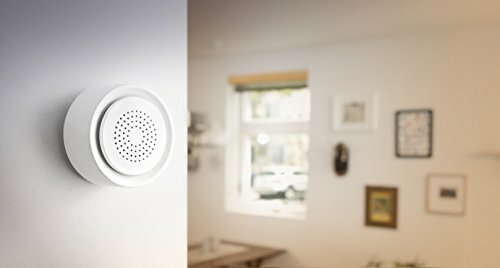 Alarm.com equipment powers many of the top security companies, and the connection would potentially make the Sonos One part of your home security system as well as your home automation and entertainment systems. If you don’t already have a Sonos One or other Sonos speakers and you’re not sold on it yet, you can look into other home voice assistants like Google Home or the Amazon Echo, Dot, or Tap. Keep an eye on the Sonos One, though. As more features and integrations are added, it might be the next big thing to own. If you have a Sonos One, tell us about your experience below! Do you use it with other home automation products?